Where you get your news from is more important now than ever before. The era of #FakeNews is upon us, and that means you can stumble upon stories lacking details or spreading misinformation. That’s why Google is redesigning its news aggregator. In the coming weeks, you’ll realize that Google News is better at collecting in-depth, accurate reports from around the world. The redesigned app takes advantage of the company’s experience with artificial intelligence and machine learning. It’ll use both in real-time to maintain a flow of updated information. Google News should be able to analyze information and organize them into storylines as they develop. Google News is also collecting your favorite sources in a new way. There’s a ‘For You’ section that begins with a briefing of the top five stories that you might be interested in. Important headlines globally, nationally, and locally are included. As you use Google News more, the app will figure out the type of stories you’re more inclined to read. Content also includes images and videos from Google’s own services like YouTube as well as third-party providers. Google News should give you the full story on every story. With a feature called ‘Full Coverage’, you’re able to draw on multiple sources at once. The app will show news, analysis, and opinions in this section; however, it’s not personalized so that everyone is given the same information. If you’re a news junkie, all your subscriptions can live on Google News. The Newsstand section, which is replacing the Newsstand app, stores subscriptions and memberships in one place. Just log in with your credentials to a particular service, and its paywall will be removed from the app. Google News also lets you access over 1,000 magazines in a reading format optimized for your phone or tablet. 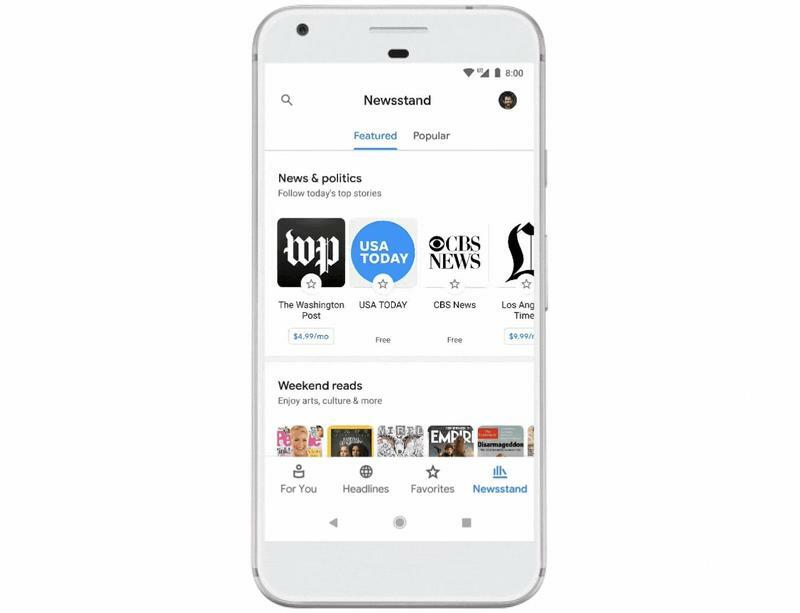 The redesigned Google News will be released over the next week on Android, iOS, and web in more than 127 countries.